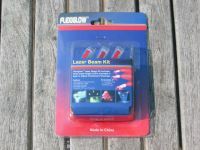 Flexiglow provides us their newest product: the Lazer Beam LED. 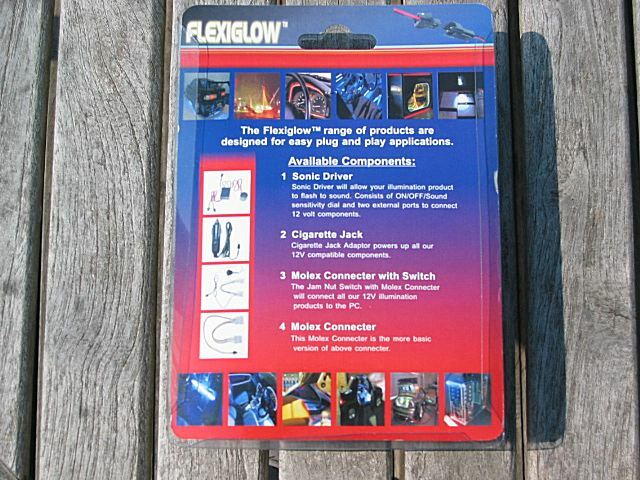 One of the mission statements of FLexiglow is to supply lighting products of the highest quality and innovation. So let's have a look at the Lazer Beam LED! 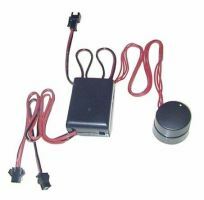 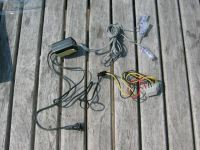 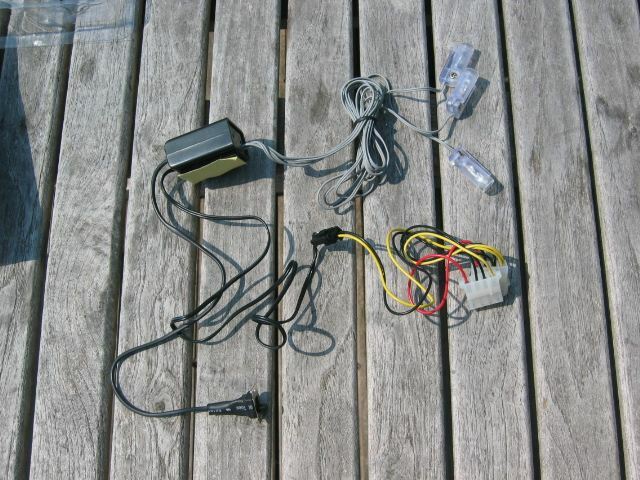 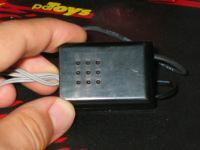 Connects to 12V in Car , PC, Boat etc..
Sonic driver with ON/OFF and sensitivity adjuster. 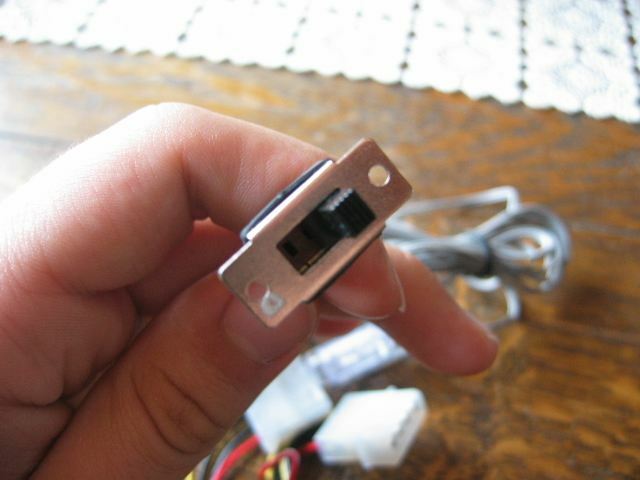 The switch button doesn't look very strong. 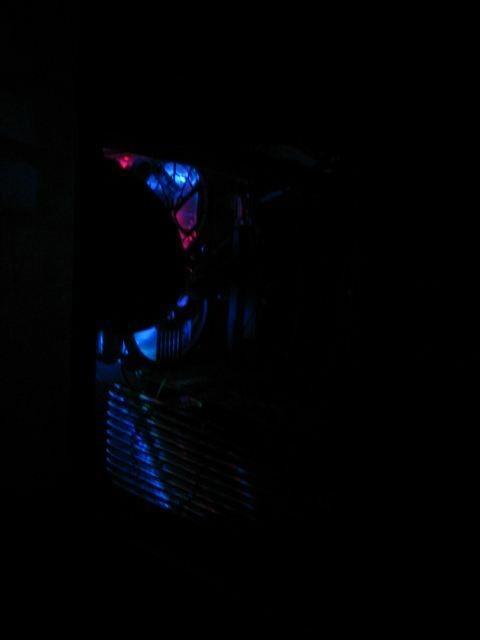 The LED's are bright in dark, but you can't see them very good when it's a sunny day. 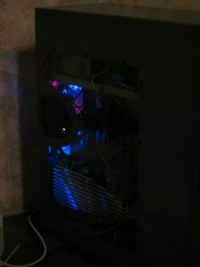 But if you want some lighting in your case, the Lazer Beam LEDS will work. 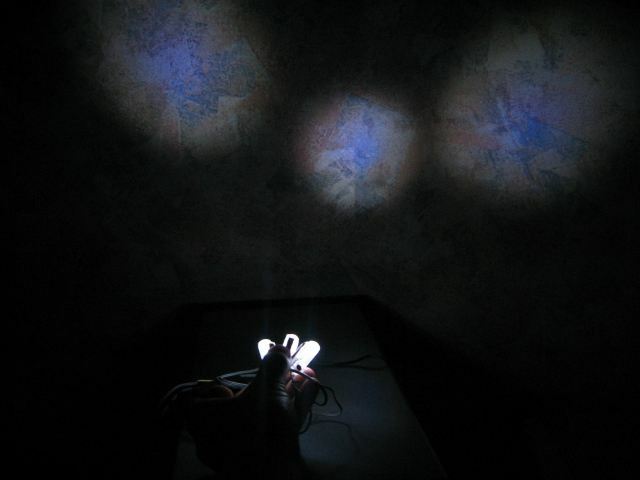 You can also use the Lazer Beam LEDs in your car, but I haven't tested it. 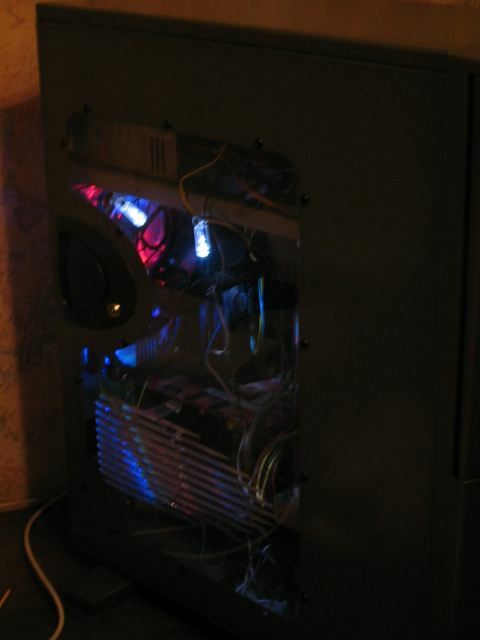 You can turn the LEDs 180°, so that a good point, isn't it? 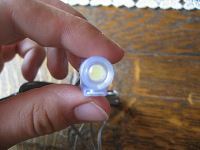 There are three LEDS in 1 packet. 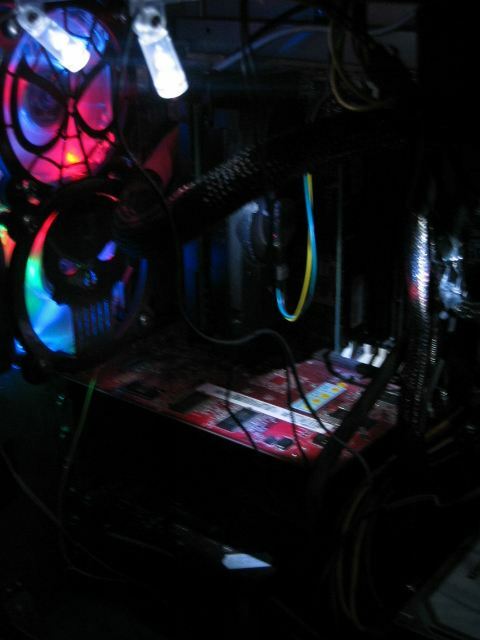 The wires are long, but this can be a positive and a negative point. 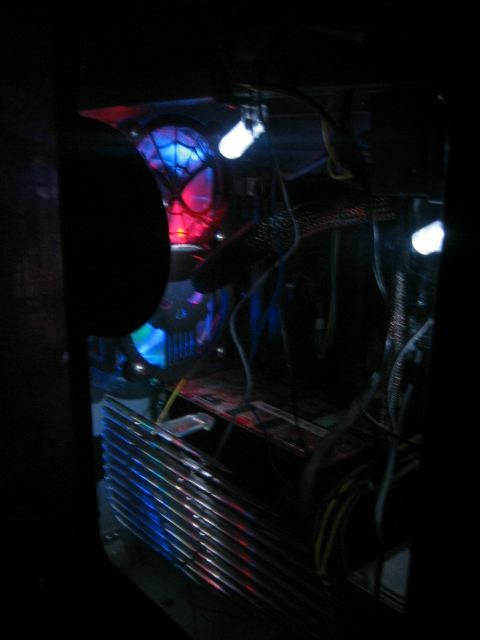 It's a positive point because you can place the LEDS everywhere you want, but the negative point is that is creates a wire mess in your case. 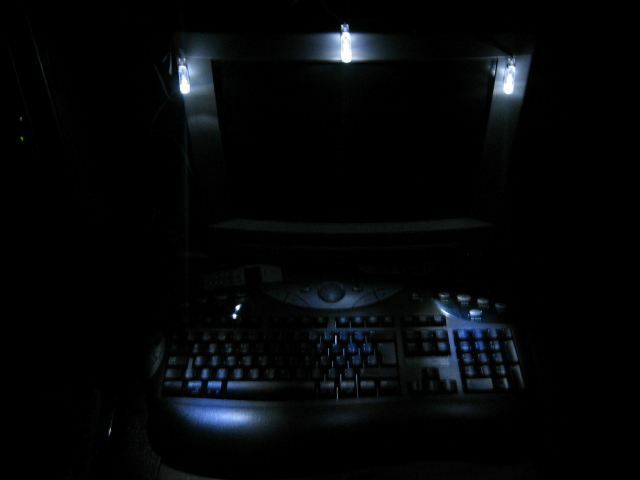 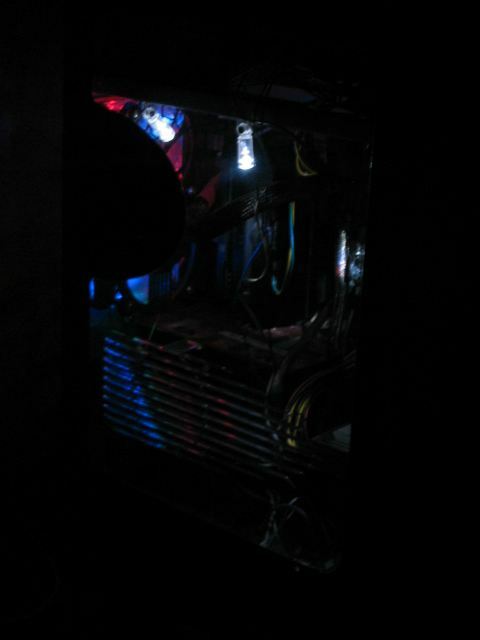 Here are some pictures with the Lazer Beam LEDs in LSDsmurf his case. 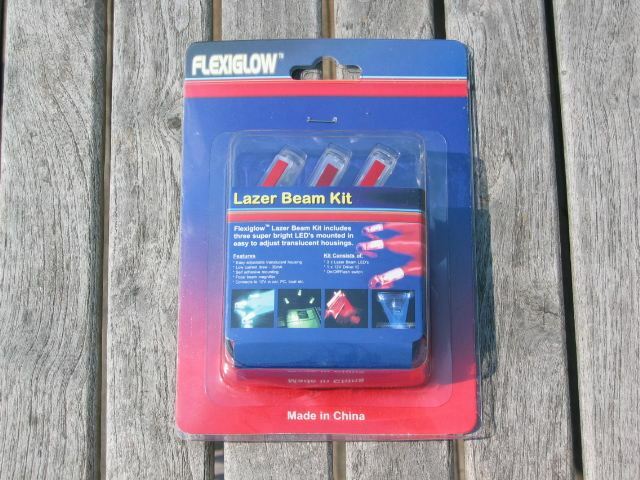 Connects Lazer Beam Kit to Cigarette Port in Automobiles. 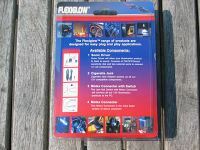 Secure fittings allows for simple plug and play functionality. 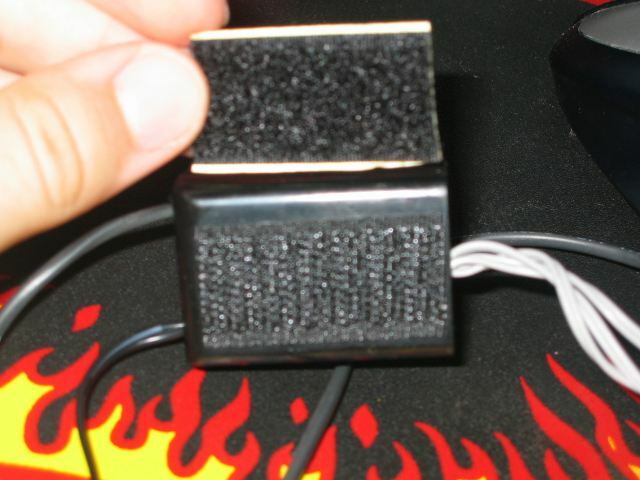 Sonic Driver adds sounds sensitivity functionality to the Lazer Kit. 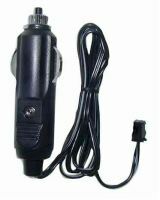 Unit simply plugs between the lazer driver and the 12V power supply. I haven't got the oportunity to test one of these extra's, so I don't know if they are good or bad. 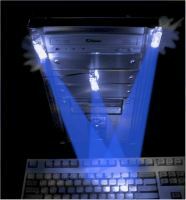 The Lazer Beam LEDs from Flexiglow light up your case. 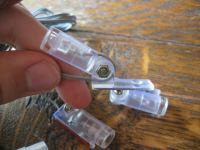 The installation is easy, and they are available in 5 colors. With the switch button you can put the LEDs off, make them flash, or make sure they produce light the whole time. 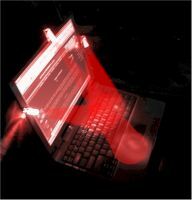 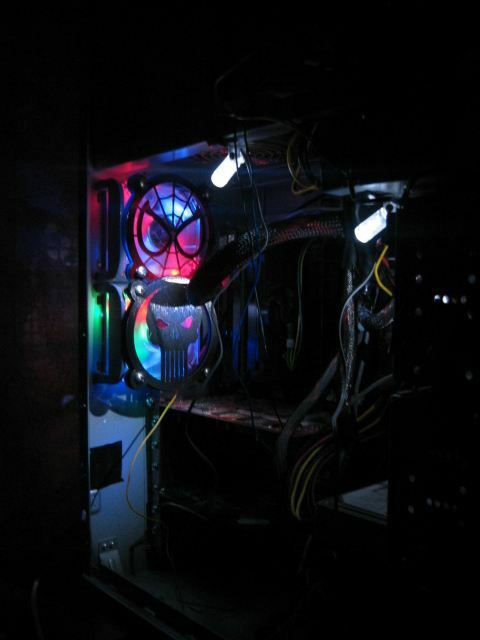 You can use the Lazer Beam LEDs in your PC case, in your car, ... . The wires are long, that's positive because you can place the LEDS where you want, but it really creates wire mess in your case. But overall it's a good product, if you want some lighting in your PC case you surely have to think about buying it. 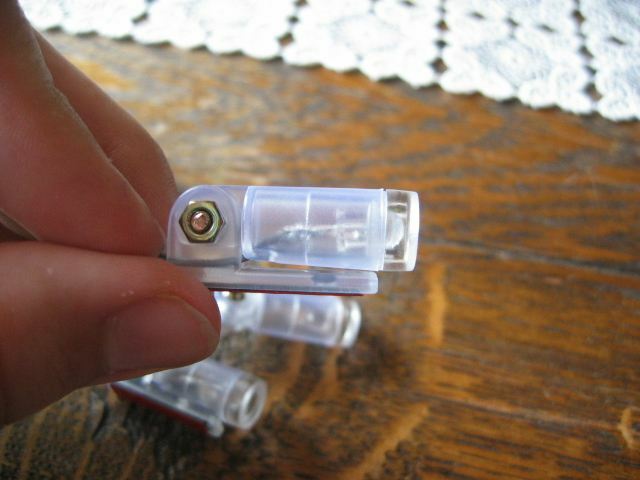 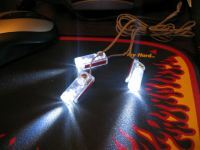 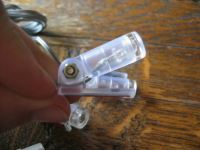 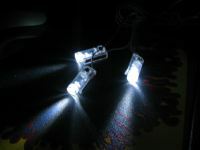 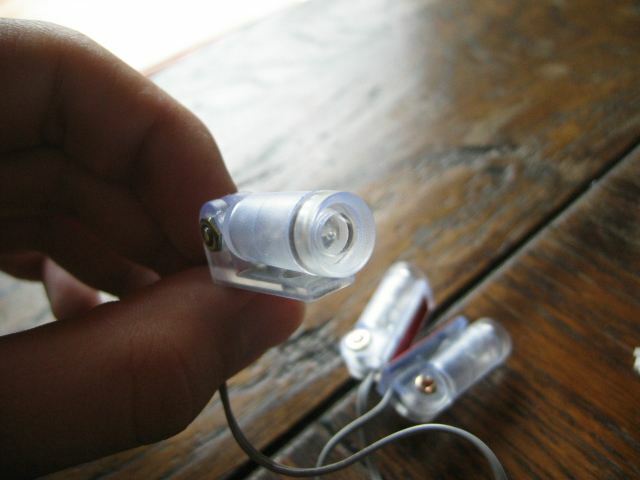 The Lazer Beam LEDS from Flexiglow gets an 8/10 from DVHardware.net !